Yesterday I had a dream in which all the goods passing through the warehouse moved on automated logistics routes. 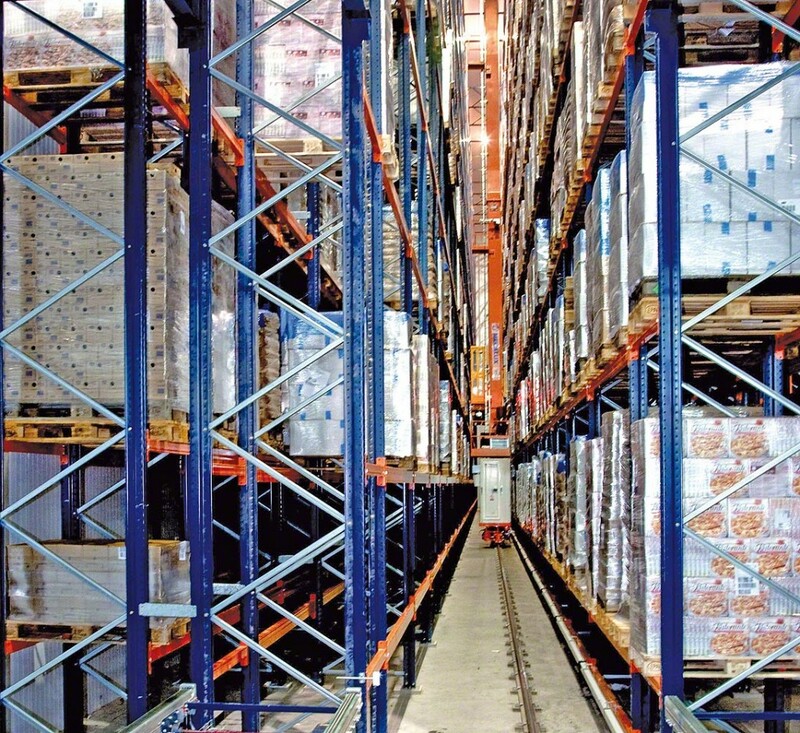 Unhindered and almost silently, they floated along only 1.5 meter-wide aisle racking. Evenly, steadily and at intervals. Without rushing, yet on every call. Wandering through this unusual land, I passed by hundreds of pallets climbing upwards like the walls of a great modern bastion. There were pallets hidden in towers reaching up to a height of 40 meters above the floor of the warehouse. Goods in this logistics center were continuously monitored, any deviations from the standard were constantly updated, and the customers received online feeds. The entire logistics chain work as efficiently as the mechanism of a Swiss watch. This world was almost perfect. 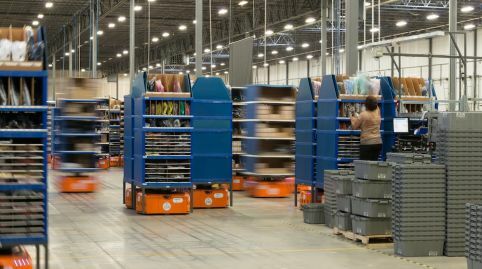 Errors resulting from manual warehouse management were minimized; there was no room for mistakes, and the planning time was reduced to a minimum. The whole "from outer space" infrastructure was adjusted to different operating conditions. Freezing temperatures (refrigerators and freezers) or high humidity warehouses posed no threat to it. With these solutions, people didn’t have to wear heavy suits, work in difficult conditions and damage their health. Their energy could be channeled to something more creative and useful. The staff no longer performed simple, repetitive tasks. The entire human potential was freed and could finally be suitably redirected. An efficient IT system was the perfect complement to the chain. It smoothly managed and coordinated the movements of all the stacker cranes in the warehouse. It was like an electronic puppeteer pulling the strings of its logistics puppets. That's not all. Drifting like a drone over the warehouse, I also saw a great army of robots which, without human help and with incredible grace, were transporting pallets from one end of the hall to an indicated place. Some of these devices were able to collect, arrange and mix a different range of goods to load pallets ready for shipment. And all this for the glory of their human principals. This technological rebellion was not aimed so much at the human worker, but at the old concept of the management of warehouses and large logistics centers. I didn’t want to leave the place, but some unknown force transported me outside this strange center. In front of me, there was a long procession of trucks waiting to be loaded and then sent off to deliver the products to the recipient. "The Pallet Shuttle System - is a semi-automated pallet storage system that allows maximum density storage of cargo. 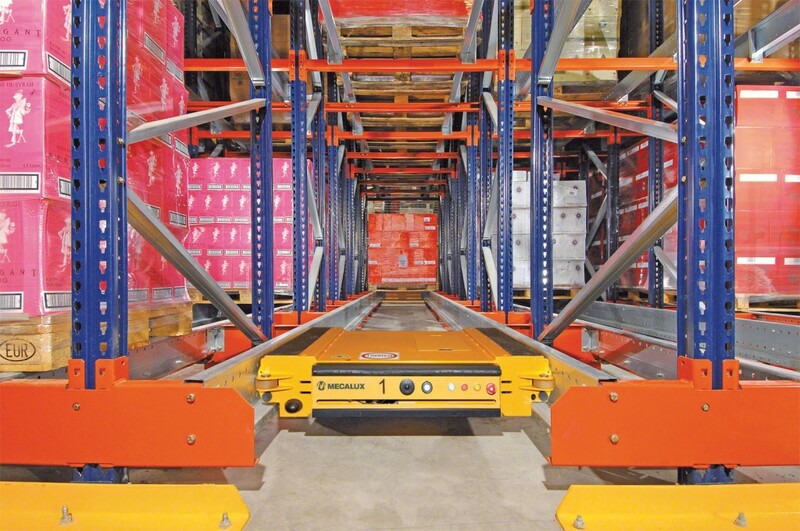 It facilitates the loading and unloading of goods through the use of a Pallet Shuttle, a cart which moves along rails within the rack, eliminating the need for a forklift truck inside the storage channels." Unfortunately, nothing lasts forever. This morning I woke up and was disappointed to discover that it was only a dream. I wasn’t sure if the reason for my dream was the upcoming new Star Wars movie, or all the information gathered in my head after reading analytical articles and books on new possibilities appearing more and more clearly on the logistics horizon. Still, I shall not discard this vision. After all, we live in very interesting times. In Western Europe, many storage facilities already use such devices. Who knows, maybe in the next 5 to 10 years our drivers will also have a chance to see these technological marvels during loading or unloading. This would be my wish, most probably shared by all those interested in logistics. I hope to write my new post just after the New Year. I’d like to go back to the subject of intermodal transport. I wish all the readers of this blog a very Merry Christmas and a Happy New Year. Hopefully, it will be full of amazing challenges in the TSL industry! Let inquiries and new projects flood our businesses and make us understand why we love the TSL industry. "Stacker cranes for pallets. This automated system increases productivity and eliminates errors in inventory control. The cranes can work in corridors with a width of only 1.5 m, and can reach heights of more than 40 meters."